Italian car maker Fiat is on an expansion mode right now. 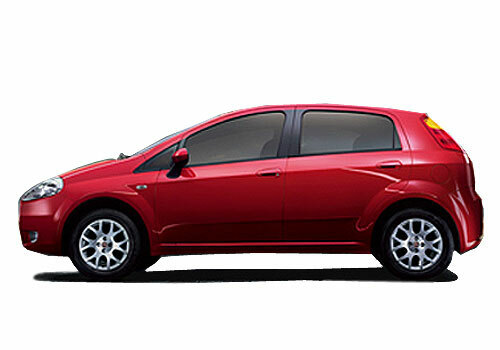 With Chrysler, Jeep and Abarth brands in the waiting, Fiat is all set to bring some sizzling cars in India. Jeep Wrangler, Cherokee and Abarth modeling are soon to arrive and with it will start a new era for the car maker that has remained in almost oblivion for the past many years. A sudden push is needed, as experts believe, to bring the brand from the current slumber to bumper sales. Though none of the upcoming Fiat cars happen to cater to the mass segment still, the car maker believes that it will be able to get some exciting figures. In order to prepare the ground, the car maker intends to expand the current 51 dealerships in the country to over a hundred by the end of this year. Aimed at improving customer experience in India, there will be several measure taken up by the car maker. In view of the expansion, the car giant has appointed Nagesh Basavanhalli as the new President and Managing Director of Fiat-Chrysler India. In addition to this, it has also sponsored training of youths who will later be absorbed as skilled workers in their plant in India. Though the car maker is getting ahead with the same two offerings including Fiat Punto and Fiat Linea but en route till new cars come in, it will launch the refreshed as well as special editions of the same. The company has changed its plans for India. It has now planned a sprint from a passive low profile brand to a high end luxury brand. It is believed that the Chrysler, Jeep cars will be helping it gain this in less time than expected. Boosting its image as a brand conscious of its customers, the car maker has launched a 24x7 customer care call centre and year round roadside assistance besides a whooping 3 years of warranty on its cars.